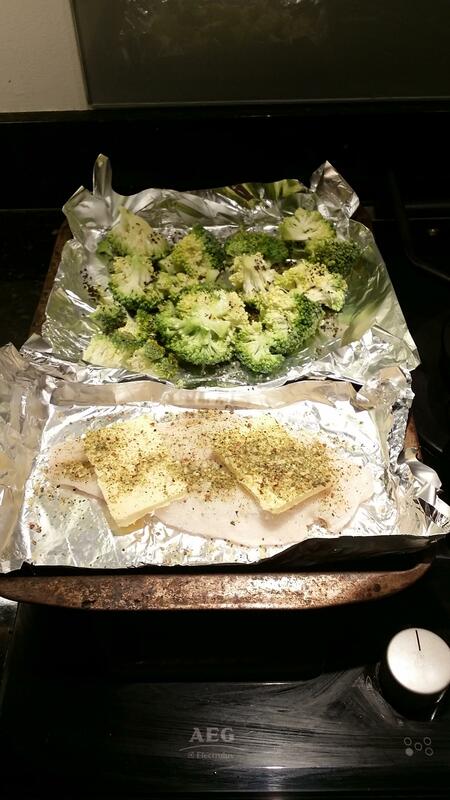 This is pretty much my go-to meal for when I want something yummy that only takes about 30 minutes (prep and cook time). 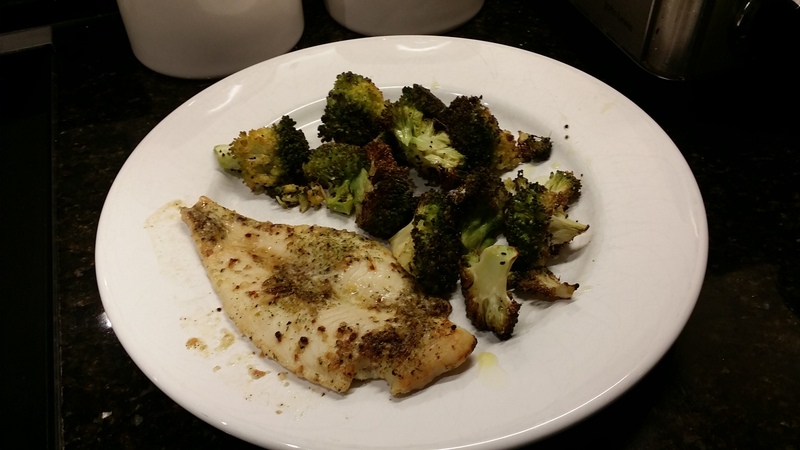 It's pretty healthy and there is no set list of ingredients, just throw in what veggies you feel like. 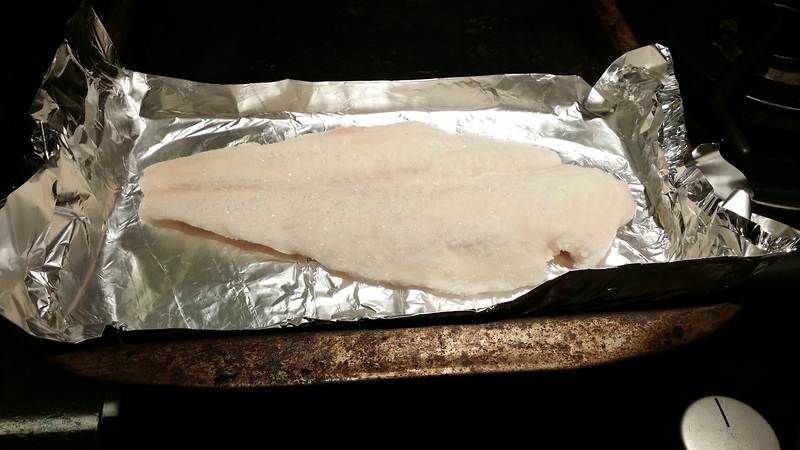 1 Filet of Basa (frozen). 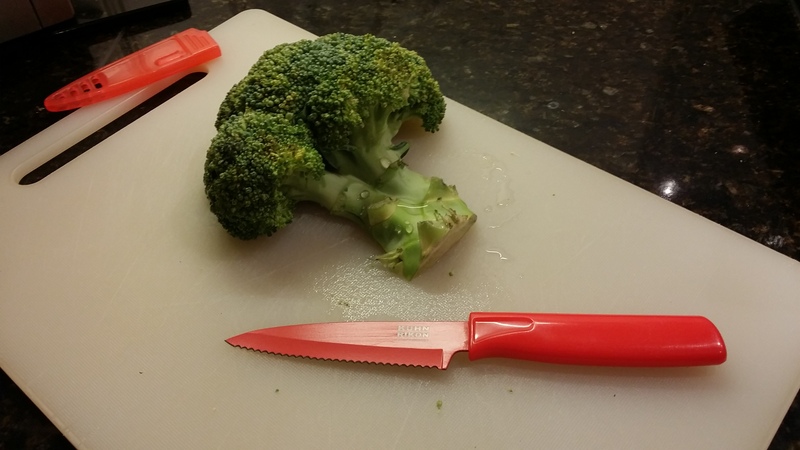 Veggie(s) of your choice (I generally use brocolli). 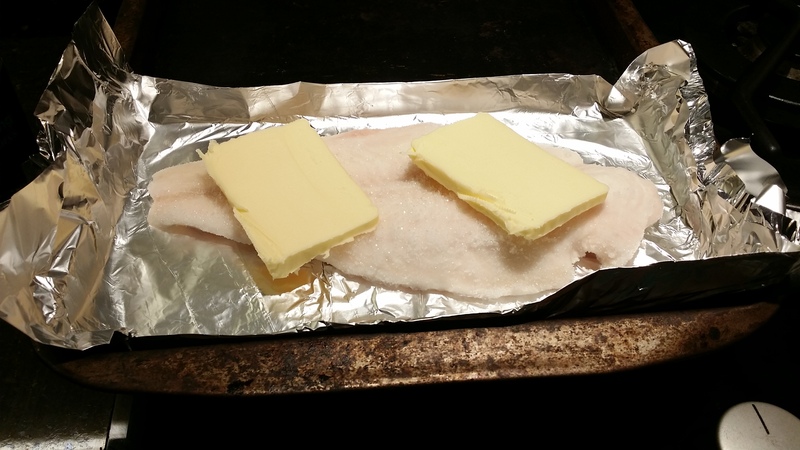 Make a foil "boat" and place it on a baking tray, then place the fish in it. 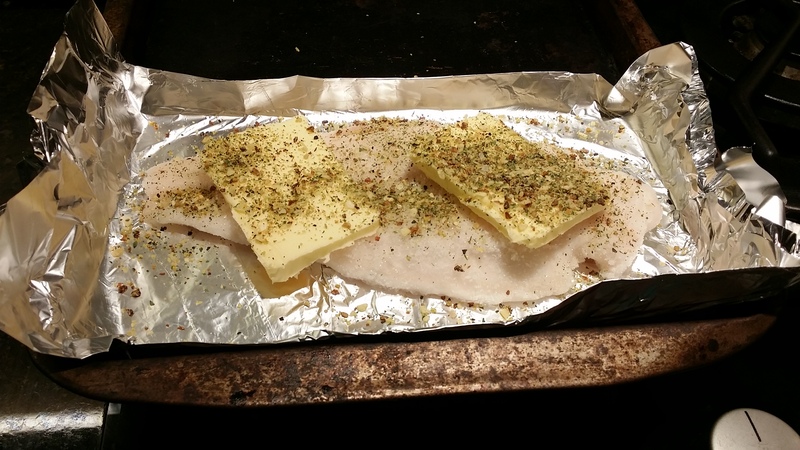 Top the fish with a couple of slices of butter. Then season with your seasoning of choice. 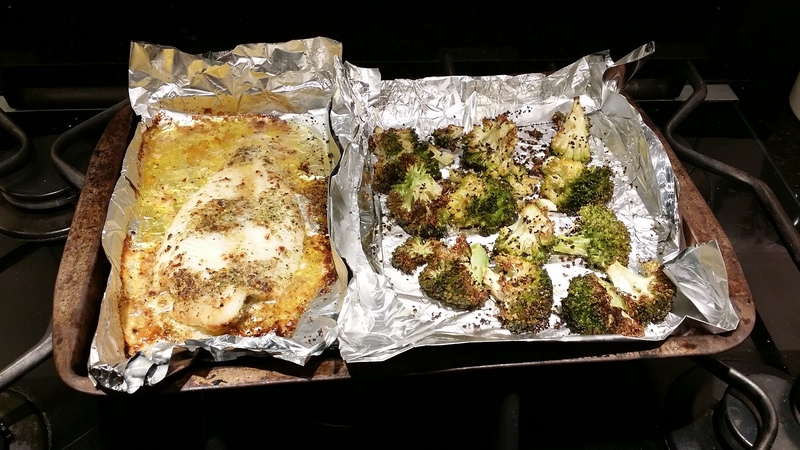 Cover the other half of the baking tray with foil (to make clean up easier), then add the veggies, season with salt/pepper, and drizzle with the oil. 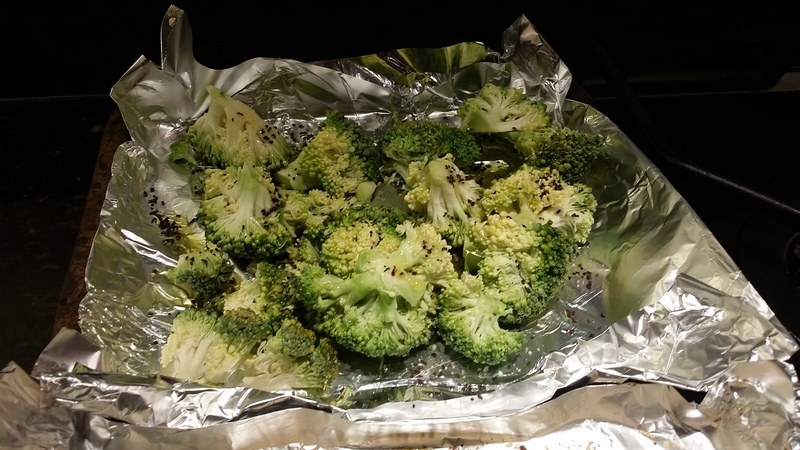 Place in the oven for about 25 minutes at 200 Celsius.